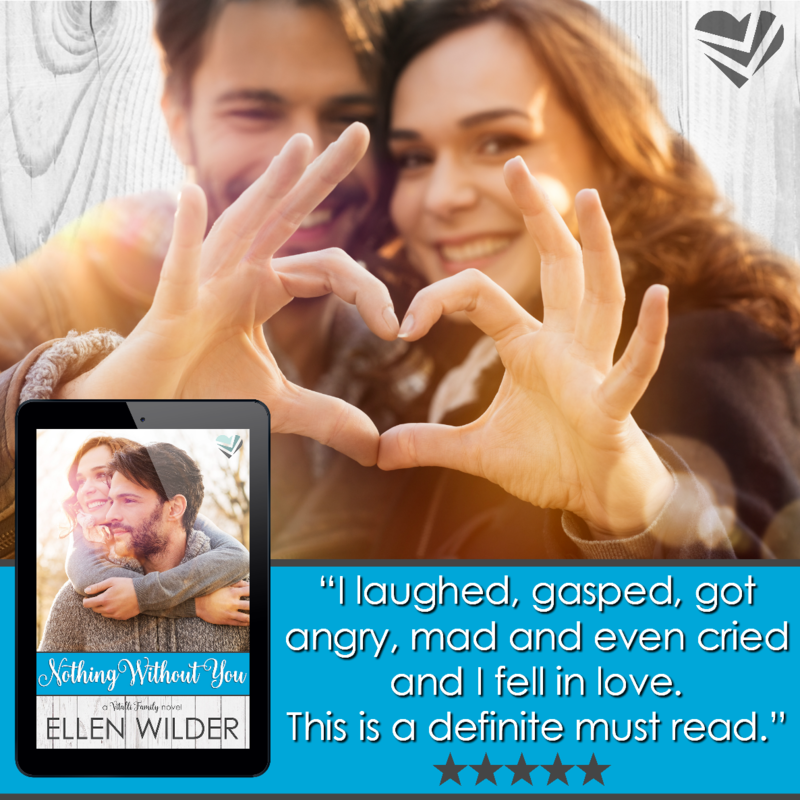 From author Ellen Wilder comes book one in the Vitalli family saga — a new contemporary romance shining light on the struggles and triumphs of loving someone with a mental illness. Pharmaceutical botanist, Julian Vitalli, spends his time researching medicinal marijuana to aid cancer patients and help manage his bipolar disorder. With two ex-wives under his belt, love was the last thing he was looking for when it crashed outside his house. Liza Thomas lost her childhood best friend to the foster care system and began her career as a case manager to keep others from the same fate. Still mending her heart after her last breakup and frustrated with her increasing workload, Liza never expected romance to appear on an icy road. Can a tortured man fighting bipolar disorder and a woman with a fractured heart the size of Indiana be exactly what the other needs to survive? Liza clutched the steering wheel as the car spun around on the icy road. Her shoulder and head slammed into the driver’s side window. Pain shot through her, and she groaned as the vehicle came to a complete stop snapping her body forward. Time slowed, and the scene in front of her went fuzzy. Sounds echoed as if she were in a tunnel but were muted at the same time. Dogs barked, and car doors slammed. A cold breeze hit her as the door opened, and she shivered. The scents of sandalwood and cedar wafted into the car. “Are you all right?” a male voice said. Someone reached across her to turn off the vehicle. She blinked twice as the lights in the car flickered on. Liza twisted her head, but a green thermal shirt stretched across a taut chest blocked her view. Her mouth opened, but no words came. Her gaze traveled up to find mysterious deep blue eyes staring at her with an intensity she’d never experienced before. The man’s brow furrowed, and he tilted his head. “Stay put. I’ll call an ambulance.” He stuck his hand in his back pocket and brought out his phone. He nodded and held out his hand. “I’m fine.” She grasped the stranger’s hand, and sparks flew down her wrist. Her body stilled, and she fixated on his eyes as he pulled her to her feet. Her legs trembled as she stood. His lips curled into a half smile. “Hi.” His hand came to rest on her lower back, and he led her out of the road. The two women whispered to each other and one gave a slight wave. Liza waved back. She didn’t recognize either of them, but there was no reason to be rude. 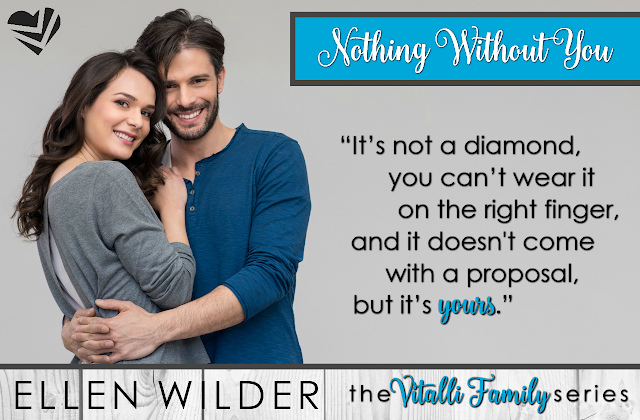 From author Ellen Wilder comes the second book in the Vitalli family saga — a standalone contemporary romance about overcoming life’s big struggles by focusing on the little things. Trevor Vitalli’s plan involved a life in the military — single and childless. Now honorably discharged thanks to a severe knee injury, he’s ready to start his new life as a conservation officer as soon as his doctor gives the all clear. After losing their last known family member, Dr. Arianna Halsey and her fifteen-year-old daughter, Mina, move to Indiana where Ari lands a new job, attempts to work through her trust issues, and stumbles through one surprise after another. When Trevor and Arianna cross paths, the attraction between the two is instantaneous and incredibly sweet, even with the addition of Ari’s daughter. Can the trio adjust to life’s hiccoughs and find their way to happiness together? At midnight under a full moon, Dr. Arianna Halsey rushed down the obstetrics hall of Bryton Hospital. Beige walls whizzed past her, and the staff raced around as chaos reigned supreme. The swarm of people brought a wave of claustrophobia, almost as if she were swimming in a sea of hospital scrubs. She blew out a breath to rid herself of the building stress and skidded to a stop. Arianna hastened through the double doors and into the delivery room. “Where were you? I’m pushing.” The woman on the bed screamed. Arianna walked into the gown a nurse held out then slid on a pair of rubber gloves. “Who is this doctor? She doesn’t know anything. I’m her mother. She needs a C-section like I did.” The mother hissed and threw up her hands. “It hurts. I can’t do this.” Alexis tried to clamp her knees together and moaned as her back arched away from the bed. “I know it hurts, Alexis, but you can do it. Push for me. You’re fighting gravity. Drop your chin to your chest, hold the back of your knees. Mom, you can help too. Hold onto the left knee as she pushes, and with your other hand, bring her shoulder up and forward. She needs your help.” Arianna put her hand on Alexis’ right knee to help from that side. Alexis bared down. “Ow, ow, ow! I can’t.” She leaned into the push, and as she did her mother let go of her left leg to get behind her. Arianna’s eyes widened as she tried to move out of the way but was too late. Alexis’ foot connected with Arianna’s shoulder, and the rolling chair went flying across the room. Her head connected with the wall, and everything went black. 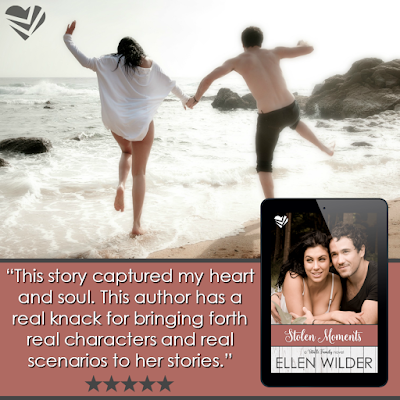 Ellen Wilder was born and raised in Indiana. She is happily married to her husband of five years and enjoys raising their two girls and one boy in the house where she grew up. They have a border collie/corgi mix named Loki. Her parents started reading to Ellen and her siblings at a very young age. They quickly tired of books for younger children and turned to chapter books like Tarzan, The Hobbit, and Lord of the Rings forging Ellen’s love for reading. Ellen started writing in Junior High with an assignment from her computer writing teacher. Her first attempt at a modern day Old Yeller crossover with NYPD Blue was “awful”, but that didn’t stop the inspiration from flowing. 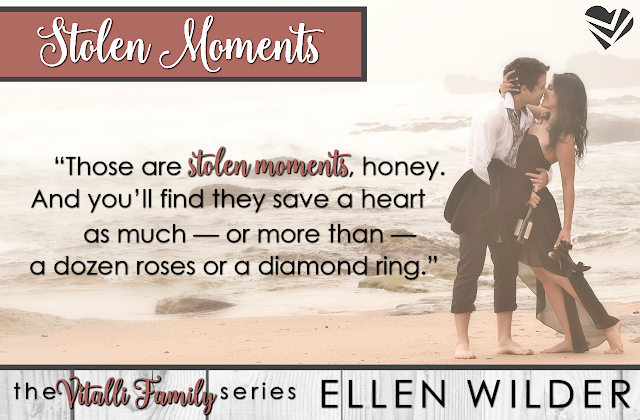 Ellen now writes contemporary romance novels with a realistic twist to them. If you’re looking for fairy tales, you won’t find them here as her characters deal with real life issues. She loves helping people with their writing, paying forward the help that she has received allowing her to be where she is today. 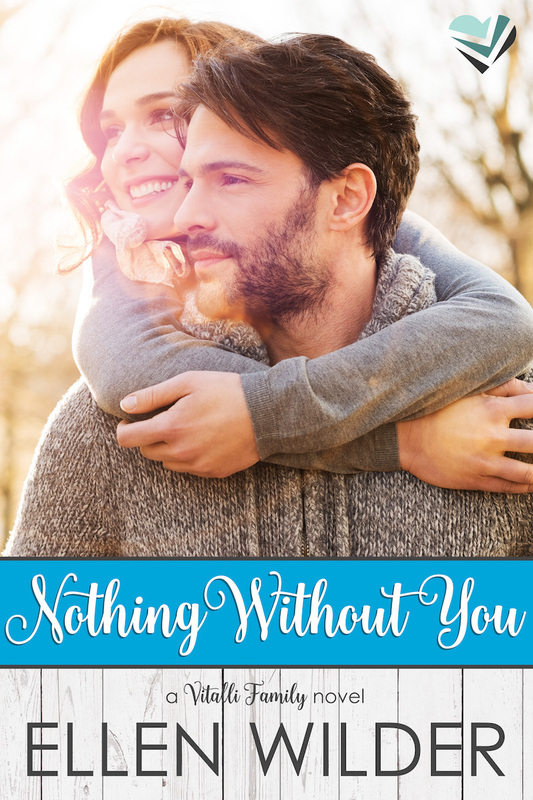 Kindred Ink Press is an independent publisher of (almost) all things romance. From romantic comedy to cozy mystery, historical to contemporary real-life romance, we’ve got a bit of romance for just about everyone. Our books range from quick reads to those of epic length and can be found in digital and print formats with audiobooks coming soon.